Cyberwrite is a pioneer in the development of cyber risk profiling technologies for the insurance and banking sector and which was named a Gartner Cool Vendor for 2018. The company’s core technology – Cyber Profiles, , enables financial institutions to analyze systemic cyber risks in a portfolio of customers, both for the banking, lending/credit, and insurance industry. Recent research shows that over 60% of SMB’s which suffer a cyber breach would go out of business in less than 6 months following the breach. In the case of a cyber catastrophe which would affect a large number of businesses across different sectors and countries, a bank could be financially exposed when a large number of customers will not be able to pay back loans. On a large scale, such a disaster might negatively impact a financial institution’s solvency. Cyberwrite’s technology provides data-driven financial damage modeling and assessment for each business based on damage types and aggregates it for the entire book of customers. This, in turn, is used to provide simulation assessment of the potential financial cyber impact on the institute solvency. The company’s cloud-based on-demand cyber profiling solution enables business credit lines and insurance underwriters to make agile data driven, evidence-based decisions about the types of exposure their prospect or existing customers are exposing their organization to. Profiles are created using Cyberwrite’s proprietary machine learning analytics algorithms with a focus on small and midsize businesses (SMBs) for which an on-site cyber threat analysis is not a possibility due to business constraints or for which a complete on-site assessment is not cost-effective. The solution enables risk transparency about systemic cyber exposure which organizations are already exposed to using the catastrophe modeling feature. Cyberwrite’s capacity to profile millions of companies in short time frames enable banks and insurance companies to asses this solvency risk in real-time and become proactive about it. Cyberwrite’s solution is currently used by leading financial intuitions in the US, UK and in South America. 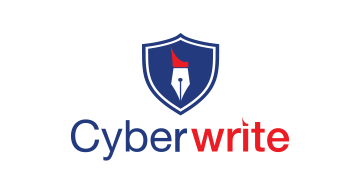 Founded in 2016, Cyberwrite was founded by an experienced team specialized in the fields of data science, cyber risk management, and R&D. The company’s management team has worked for decades in company’s such as Accenture, IBM, Cisco, PwC and insurance companies in C-level positions and other key roles. The company is financially backed by Silicon Valley and European investors including SpeedInvest, Plug&Play, 500startups and private investors from the security industry.